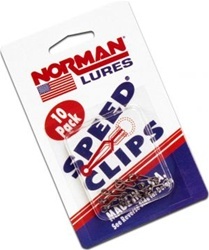 The Norman Lures® Speed Clip is absolutely the easiest way for you to attach a lure to fishing line. Equipped with a circular design that allows lures to run true, these Speed Clips are stronger than other snaps and work well with braided lines. 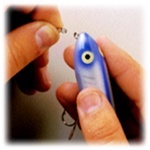 Plus, it takes only one hand to attach these Speed Clips to your lure.